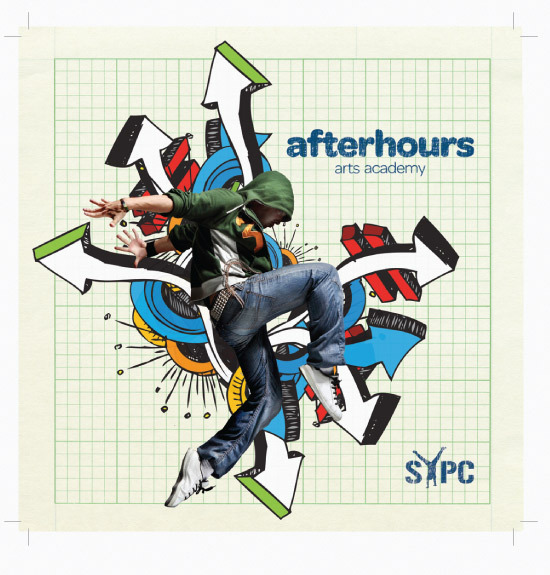 Flyer print design for the Arts Council funded Afterhours Arts Academy in Slough. The project is targeted at 13–19 year-olds and the marketing team always want a vibrant, modern feel to their flyers. This was one of our personal favs.